Regular container services resumed on Monday, after temporary repair work was completed on CentrePort’s two ship-to-shore cranes. Two giant cranes, which have been sitting idle on Wellington’s waterfront since the November quake, are back in action. 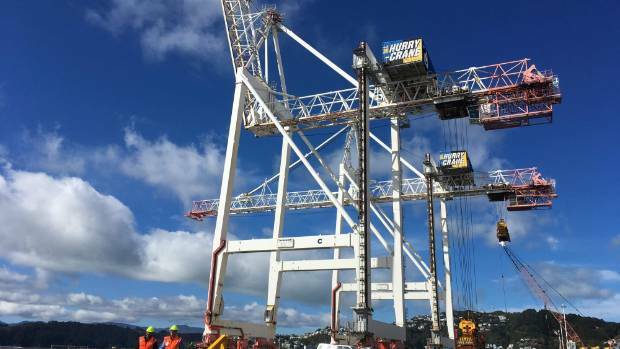 Temporary work on CentrePort’s 700-tonne gantry cranes have allowed the machines to return to pre-earthquake service levels, a CentrePort spokesman said. The cranes, which load and unload container ships, were not damaged in the quake, however both jumped off the rails they sit on, with land beneath the cranes weakened. For the past 10 months, the only ships able to unload directly at the port were ones with their own cranes, which was uncommon in New Zealand waters. As a result, cargo bound for Wellington has been diverted to other ports such as Napier, and containers shifted by rail or truck to the capital. 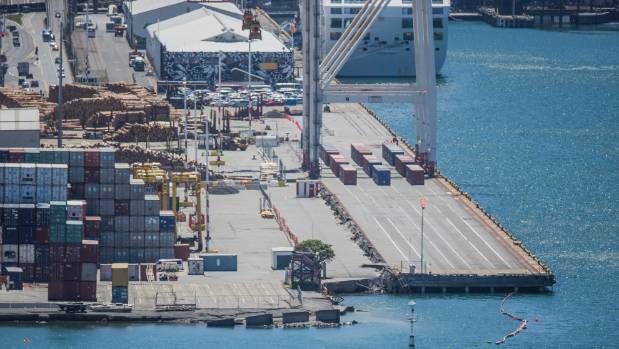 CentrePort, owned by Wellington and Manawatu ratepayers, spent $28 million securing 125 metres of the 585-metre wharf, including doing temporary paving works. A CentrePort spokesman said there were many technical and logistical obstacles, including a limited supply of key materials and challenging weather conditions. Over 185 piles, made from more than a thousand tonnes of steel, have been driven about 40 metres into the soil. In addition, 644 gravel columns have been set in the ground to reduce any liquefaction from future earthquakes and provide resilience to the temporary works. The completion of the temporary works would enable more shipping lines to return to Wellington, linking regional businesses with international markets. CentrePort chief executive Derek Nind​ said importers and exporters in central New Zealand would receive a “major boost”. “Container shipping accounts for $1 billion of the $2.5b contribution made by the port to the regional economy, and supports about 8500 jobs. “We know how important CentrePort’s container shipping is to central New Zealand’s economic competitiveness, [but] using alternative trade routes has increased domestic transport costs by up to 800 per cent for some businesses,” Nind said. On Monday, the cranes started working on the Jens Maersk, part of Maersk Line’s Northern Star service. Later this month, weekly visits by MSC Capricorn and the NZS/KIX service will also resume. These will join the ANL Transtaz service, which has visited CentrePort weekly since February. Quake-hit CentrePort’s should be repurposed as a transport and entertainment hub, a Wellington developer says. 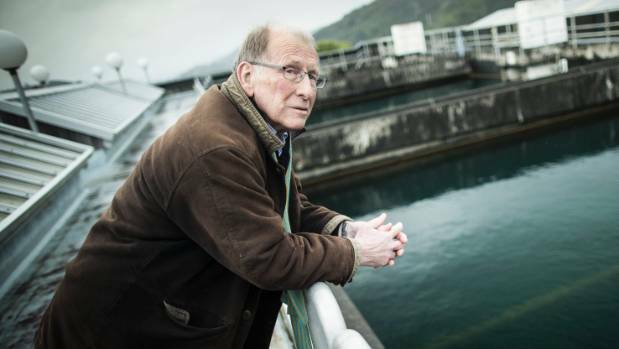 Ian Cassels has called for the port, which suffered substantial damage after the 7.8-magnitude Kaikoura earthquake on November 14, to become like Oriental Bay with bars and transport interchanges. His suggestion comes as the future of Wellington’s quake-hit CentrePort will be up for debate when regional councillors meet on Wednesday morning. 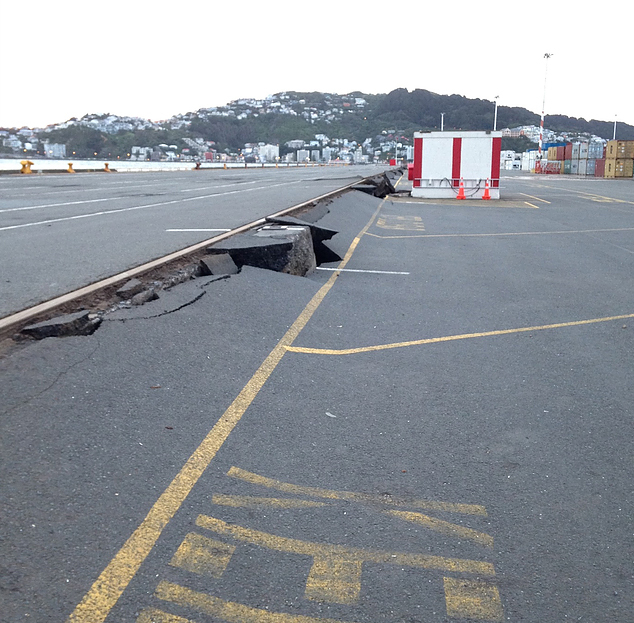 CentrePort container shipping wharf/dock in Wellington received damage after Novembers earthquake. At the meeting Greater Wellington regional councillors will get the opportunity to pass comments onto the CentrePort’s management to inform their plans for the coming financial year. 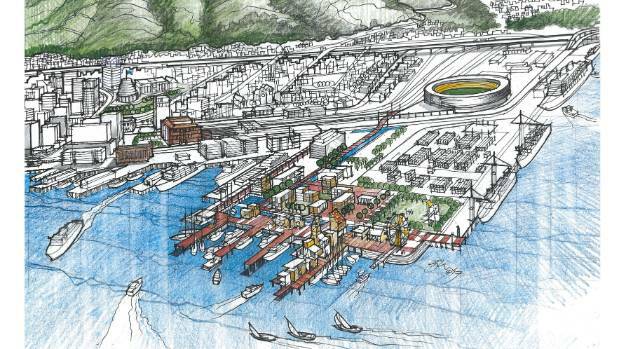 Greater Wellington Regional Council chairman Chris Laidlaw said Wednesday’s meeting would be the first towards developing a masterplan for the future of Wellington’s Port. While returning to business as usual would be part of council plans, Greater Wellington Regional Council chairman Chris Laidlaw said the objective was to begin developing a plan beyond that. “This is essentially about looking further ahead to enabling land owned by the Port to be factored into the decisions we are making, particularly around transport,” he said. This would be factored into Lets Get Welly Moving initiative, which was set up to help solve the city’s congestion problems. 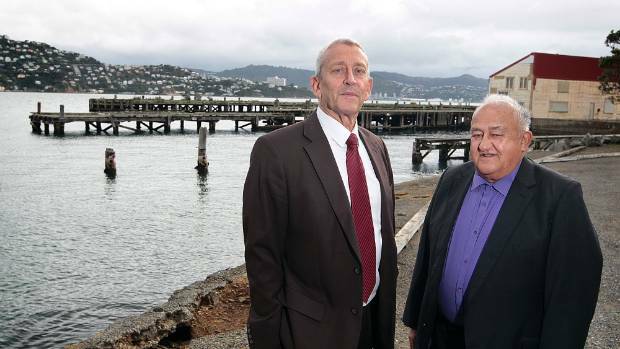 Property developer Ian Cassels said the earthquake had given Wellingtonians a huge opportunity to decide how the Port and the city were alligned. “We are looking at a longer term development plan for the Port as a whole,” Laidlaw said. Cassels described the quake as a hidden blessing, allowing Wellingtonians to re-think how the city and the port were best aligned. “I’m standing in my building looking at the containers on the eastern edge of our port, and nothing could be more inappropriate for the other half of our inner harbour,” he said. Cassels suggested small-scale wharfs should also be installed for smaller craft and larger suburban buses should stop at CentrePort and not traverse the inner city. The Port has been eyeing up land around Kaiwharawhara, which would be a natural move, with a similar sized operation more easily maintained off reclaimed land, he said. But New Zealand Shipping Federation executive director Annabel Young disagreed that CentrePort’s days as a freight destination were numbered. But she would like to see would be a unified terminal for ferries, rather than separate operations for the the Bluebridge and Interislander. Road Transport Forum chief executive Ken Shirley said there were ongoing issues around entry and exit to the Ports, and he commended the council for beginning to come to terms with that. “We have got the Roads of National Significance virtually from Levin to Wellington Ports but it’s that last bit of interfacing with the Port that’s so important,” he said. 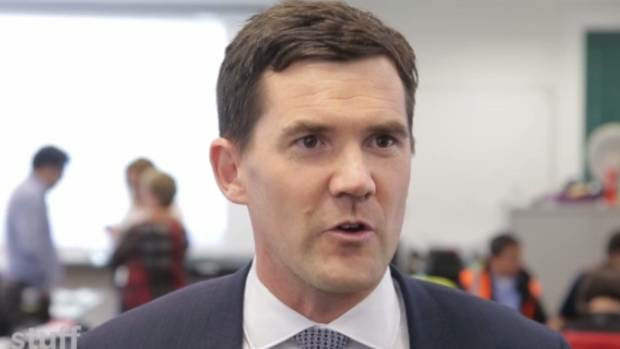 Wellington City Mayor Justin Lester said efforts should focus on getting CentrePort operating as it was before the quakes. 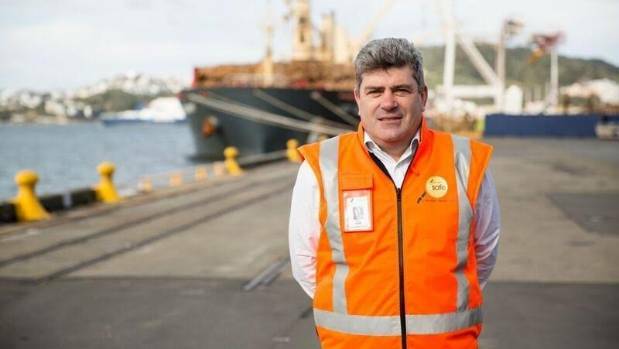 CentrePort Wellington will begin hosting weekly ANL Trans-Tasman schedule calls as from February 12, marking the return of the port’s first regular container shipping service since the November earthquake. A CentrePort spokesperson says the self-geared vessels will provide Wellington shippers with direct connection to Australia and via transhipment with North America, North Asia, South East Asia and globally. “The services will berth on Aotea Quay Two, which is part of the 1000 metres of operational berth on Aotea Quay,” says the spokesperson. The spokesperson expects the service will see “several hundred containers” loaded and unloaded per week. It is understood CentrePort is actively negotiating with other self-geared containership operators in attempt to attract further callers, as it works to resume modified gantry crane operations within the next four to six months. A week after a 7.8 magnitude earthquake hit New Zealand, CentrePort has resumed most operations and is focussed on minimising disruption to its customers. Chief Executive Derek Nind says significant progress has been made across the Port and the team has worked diligently to bring essential services online in a safe and planned way. “We have moved from a situation six days ago when we had no water, no electricity, no phone lines and no email, to the current position where we have large areas of the Port up and running. Engineering inspections were needed everywhere to make the Port safe, and they are ongoing. We had to review all operations and processes in light of the earthquake. “Safety is our number one priority, and the reality is the seismic engineering inspections take time. “We understand the importance of the Port to the regional economy, and are committed to resuming operations as soon as practicable. Immediately after the impact of the earthquake, emergency generators were activated to protect refrigerated containers. Within 24 hours, the ferry link between Wellington and Picton was re-established. Within 48 hours the first commercial vessel unloaded cargo at the Port. And within 72 hours a rail link was reopened to begin moving cargo out of the Port. Five navy ships supporting earthquake efforts at Kaikoura (HMNZS Te Kaha, HMNZS Endeavour, USS Sampson, HMAS Darwin and HMCS Vancouver) called at Wellington Harbour today, while a cargo ship delivered 500 cars to the Port. Tomorrow (Monday) will see the inaugural visit of the Pacific Aria cruise ship to the Capital. Logs and more commercial ships will begin arriving later in the week. CentrePort has implemented alternative ways of working. Some staff have been unable to work because of the earthquake, others have been deployed to different roles and we’re looking at possible employment opportunities at other ports. There is much work to be done, particularly in our container shipping operation, which remains suspended. Potential solutions may mean the Port has to work differently in the short, medium and long term. Damage to the Port is more extensive than during the 2013 Seddon earthquakes. Many buildings remain off limits, with staff working in back-up locations across the Port and outside the CBD. CentrePort has welcomed the Government’s technical investigation into the performance of several modern buildings, including Statistics House, which sustained damage to the first and second floors in the North West corner of the building. Mr Nind says he is optimistic about the future of the Port. “We’ve come a long way since Monday, thanks to our staff, suppliers and customers, who are pulling out all the stops to reopen the Port, and Wellington, for business. I’ve said it many times over the last few days, and I’ll say it again – I’m incredibly grateful for the hard work being done. “We’re working on options for getting containers moving through the Port, and finding alternative space for our staff. It’s going to be some time before we return to ‘normal’, but we’re already enabling much-needed economic activity in Wellington.